Amsterdam is one of the most popular short break destinations in Europe. With history, famous art, romantic canals and cultural sights galore, there’s loads to explore. 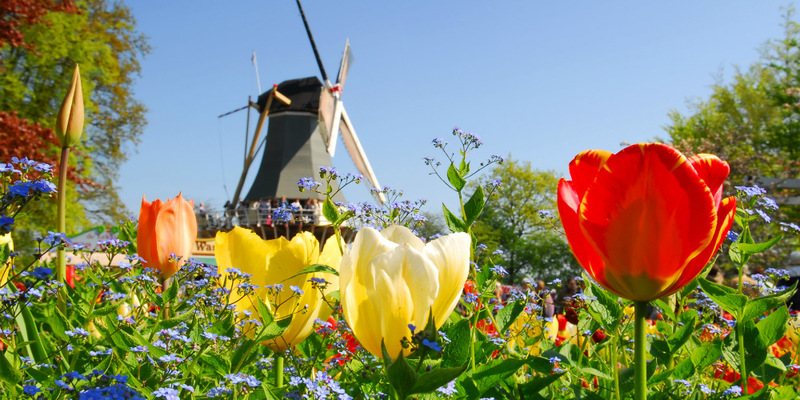 Accommodation in the city can be pricey, so by camping near Amsterdam you can combine all the delights of the famous city with an affordable and relaxing self-catering break. When it comes to camping in Holland you can’t beat Camping Duinrell. Located in the town of Wassenaar, it’s fantastic campsite packed with first class facilities and suited to families of all ages. 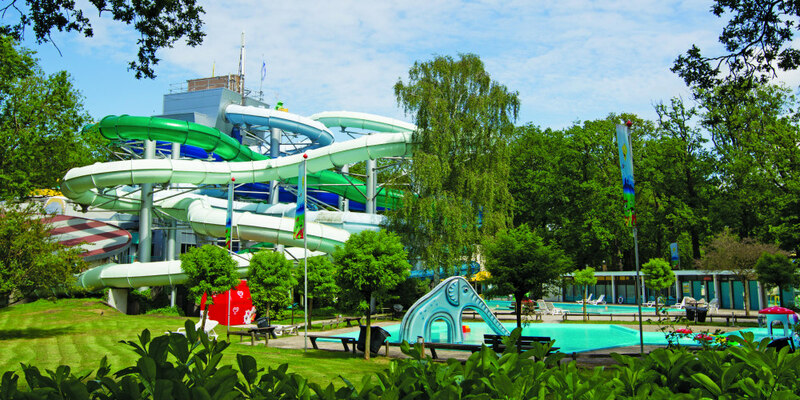 Set in the lush woodland surroundings of a nature reserve, Camping Duinrell has a tropical water park and its very own theme park with thrilling rides like Splash, Falcon and the Water Spider. Here’s our pick of the best waterslides at Camping Duinrell. Want to find out more about camping near Amsterdam? Call our knowledgeable customer advice team on 0345 268 0827. Getting to Amsterdam is easy. You can can fly direct from many UK cities to Amsterdam then hire a car from the airport and drive directly to the campsite (just 39km). It’s also possible to reach Camping Duinrell via public transport, via a train from the airport to Den Haag (The Hague) then a bus to Wassenaar. If you prefer to bring your own car from home, take a ferry crossing. You can travel from Hull to either Rotterdam or Zeebrugge, or from from Harwich to the Hook of Holland. It’s then a drive of under an hour from those ports to Camping Duinrell. 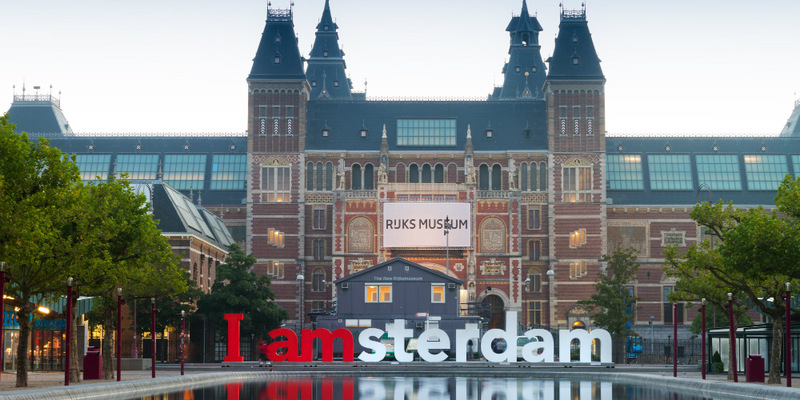 Be a culture vulture in Museumplein - the grand Rijksmuseum is home to over 400 masterpieces by iconic artists like Vermeer and Rembrandt. The Van Gogh Museum has hundreds of paintings, drawings and letters from the Dutch master. If you prefer more recent works, head to the Stedelijk Museum - Museum of Modern Art. Wander through the Jordaan - this charming neighbourhood is dotted with independent art galleries, antiques shops, and cool bars and restaurants. Get on your bike - there’s no better way to explore the city than on two wheels. Amsterdam is home to over 800,000 bicycles has great paths and cycling routes. Why not join the locals and hire a bike or take an organised cycling tour? Take a canal cruise - you’ll get postcard views of the city and its famous gabled houses from the water. Enjoy some great Dutch food - try Poffertjes (small fluffy pancakes), Bitterballen (deep-dried meatballs with a crunchy coating) or Stroopwafel cookies with their gooey caramel centres. Try a delicious slice of Appeltaart, packed with apples and cinnamon, or stroll around with a paper cone of ‘patat’ - French fries topped with mayonnaise, tomato ketchup, curry or peanut sauce. Here’s our top ideas for a day trip to Amsterdam.